Kid’s Wear - Abc123me: London based & High on Style as always! Abc123me: London based & High on Style as always! Diary / Fashion / Abc123me: London based & High on Style as always! “I never intended to make kid’s clothes. I had a job I loved in television as a casting director and when I went to maternity leave to have my twins, I truly expected to return a year later. But things don’t always work out the way you think they will“, Louisa Rowland designer and founder of ABC123me laughs. And yes, everything worked out differently. 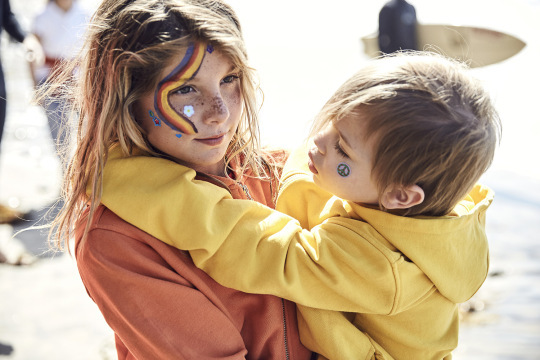 Louisa went to a children’s wear course at the prestigious Central St. Martin’s in London and started to create fuss free, carefully considered clothing for kids. 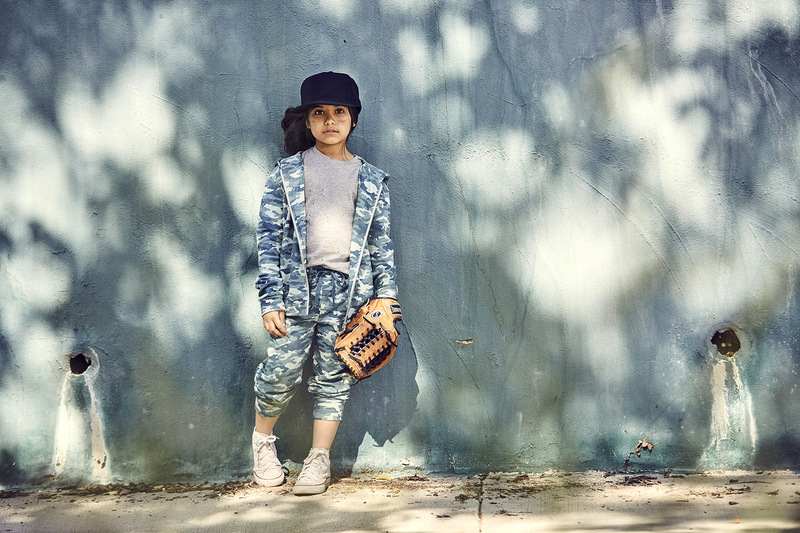 Her latest work is a vintage sports inspired collection of jackets, sweatshirts, t-shirts and trousers – drawn from her love of colour, baseball, basketball and Americana. 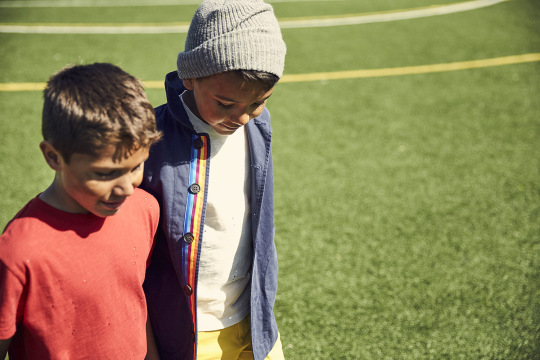 Varsity jackets, chinos, classic sweatshirts and tees are re-worked and refreshed with made-to-fade denims and super soft cottons while vintage style shearling Sherpa denim jackets come with hidden surprises in the linings – garment dyed shearlings in yellow, red and teal to keep you snug when the cold bites. Unisex hooded jackets return in a variety of colours alongside cool oversized parkas. My favourite: midnight blue. The classic super soft corduroy suits are made to mix and match with those hardwearing cotton hoodies, camouflage to keep you on your toes or a henley when you need to please the grandparents. Shirt jackets with oversized pockets can be worn as shirts under our prefaded denim varsity jackets for the complete preppy look… Canadian tux or worn freestyle loose and open over distressed sweatshirts or waffle tees.